Meet Stephanie and Scott! 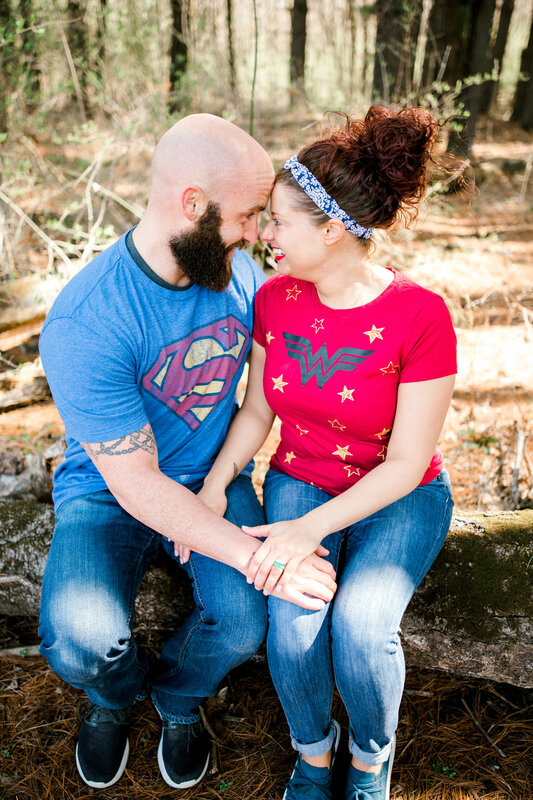 A super fun and superhero loving engaged couple! I first met Stephanie from going to the gym where she works. Stephanie and I kicked it off right away talking about life and working out. Over the last year we have gained a friendship that I am super grateful for! When she told me a few months ago that she recently got engaged she was telling me how she loves my photography and that she wanted me to capture her engagement and wedding. I was honored to hear that she wanted to choose me to capture her love story! Shortly after Stephanie came over to my home to chat about her wedding details and engagement. I was so excited to hear the theme and color of their wedding I thought their theme would be super unique and so personable(which I love)! Once you see the images below you will catch the theme fairly easy. After we chatted the wedding details we talked about the engagement session. 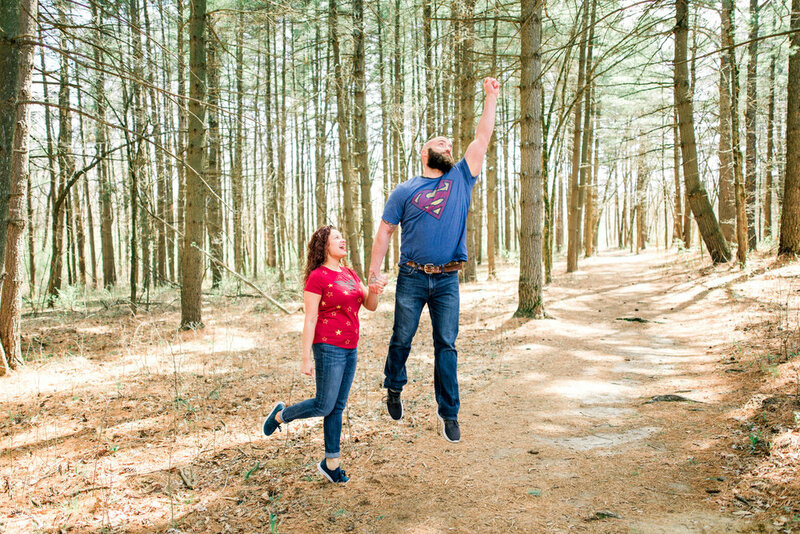 Stephanie is super laid back and wanted the fields and trees to be a part of their engagement location. Once choosing the location we discussed the outfits. Stephanie and Scott wanted something a little more relaxed and laid back since that is their style. I met with them last Thursday to capture the engagement session. This was also my first time to meet Scott! Scott and Stephanie not only share the first letter of their names but share so many common things they both like. Such as working out, outdoors and superheroes. During their engagement they were laughing literally the entire time. Which of course had me setting my camera down multiple times cracking up. There were a few times my stomach would hurt from laughing to much with these two. 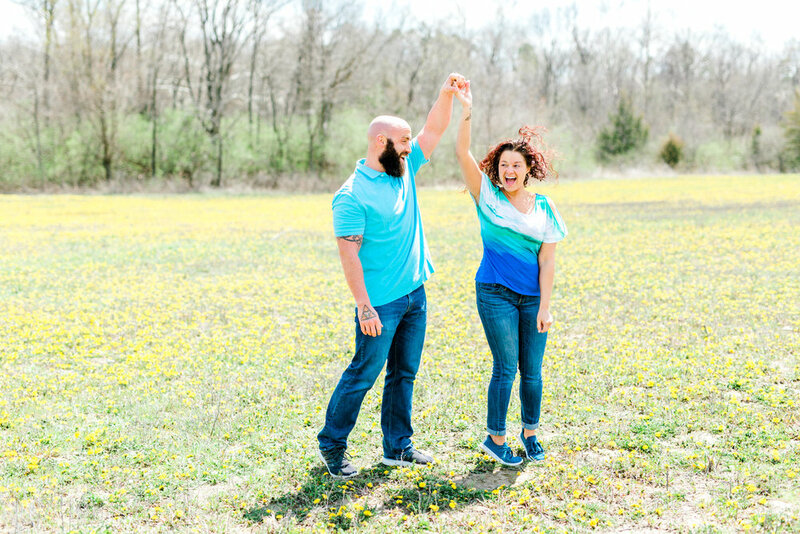 I would put them in a pose than they all of a sudden would start goofing off from laughing to making funny faces this engagement session was a blast! My favorite was when I had Stephanie and Scott walk towards me and they were laughing I than told them to jump and walk, yup totally worth it. There is no doubt that these two are made for each other and have such a strong love. I am so excited to share this gallery with the two and to share the images with you! Stephanie and Scott you both make an amazing couple and I can not wait to capture your October wedding! Meet Alex and Elizabeth a couple madly in love with one another. 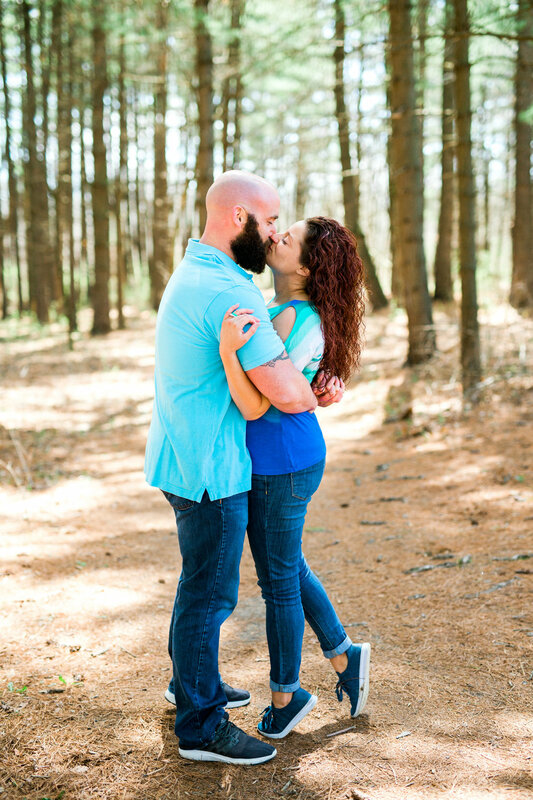 A few weeks ago I received an email for an inquiry for an engagement shoot. 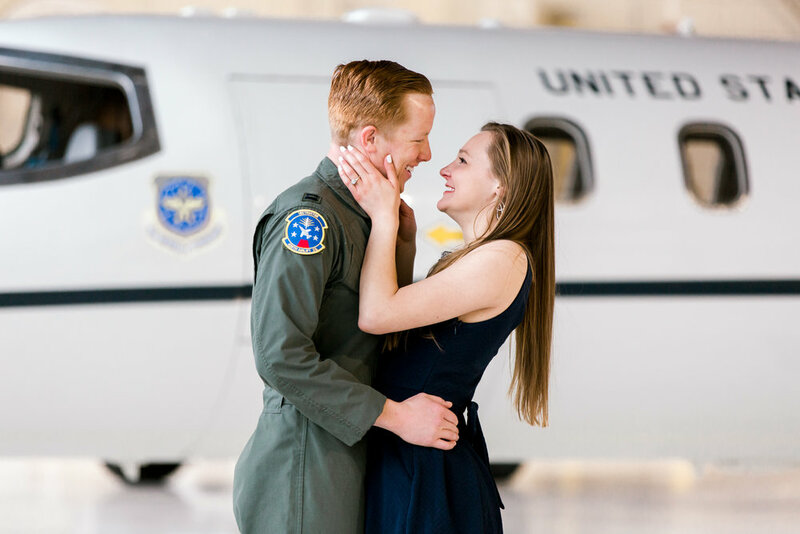 The inquiry was from Elizabeth, she told me she was wanting engagement pictures taken sometime in March and that she wanted the location to be at her finance's base (Scott Airforce base). 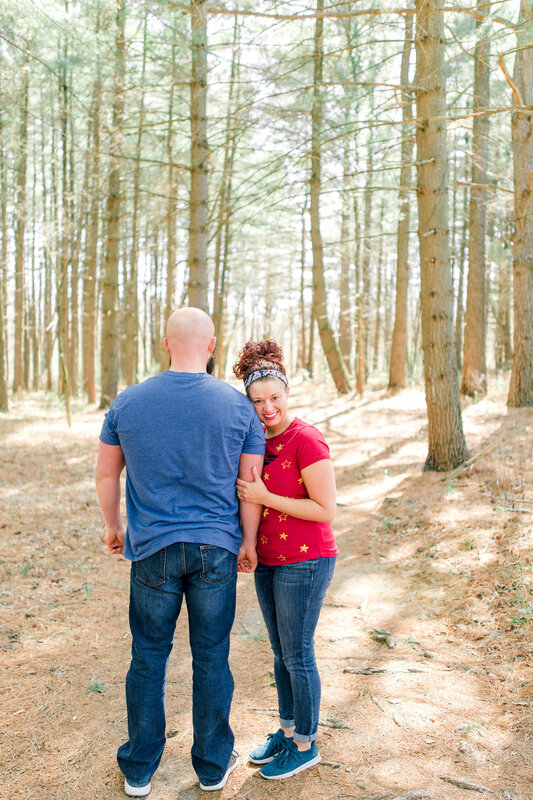 When I read that email I was ecstatic because I love capturing military couples! After a few emails we put together a date and time for pictures to be taken at the base. Sunday I met them across the street at a local Subway. When they pulled in they had their four legged pup and their best friend to help with the pup during their pictures. This was also my first time going on a base EVER. 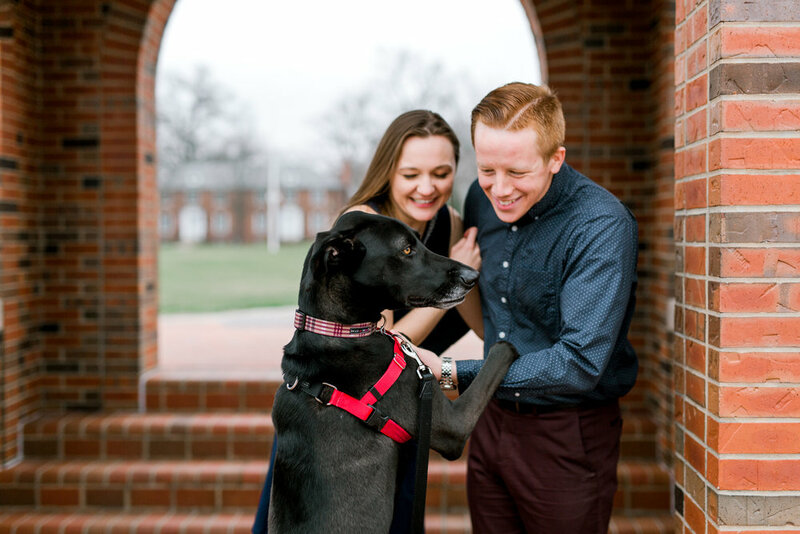 I was super excited for this engagement session. I hopped in the car with them and we checked in through security to get on the airforce base. Once we got on base I could not help myself but to look around, the base was super cool! Once we got to our location I got to chat with them a bit about what they do etc. Come to find out Elizabeth and Alex are both pilots! HOW COOL! I was super amazed by that and I knew I had to incorporate as many images as I could with the jets. We walked around base taking pictures in the hanger with their four legged friend and pictures of the two as a couple. During there engagement there was no doubt that these two were really meant to be besides the fact that they are both pilots. These two could not stop smiling and giggling, that is true love my friends! The session lasted about two hours and with two outfits. 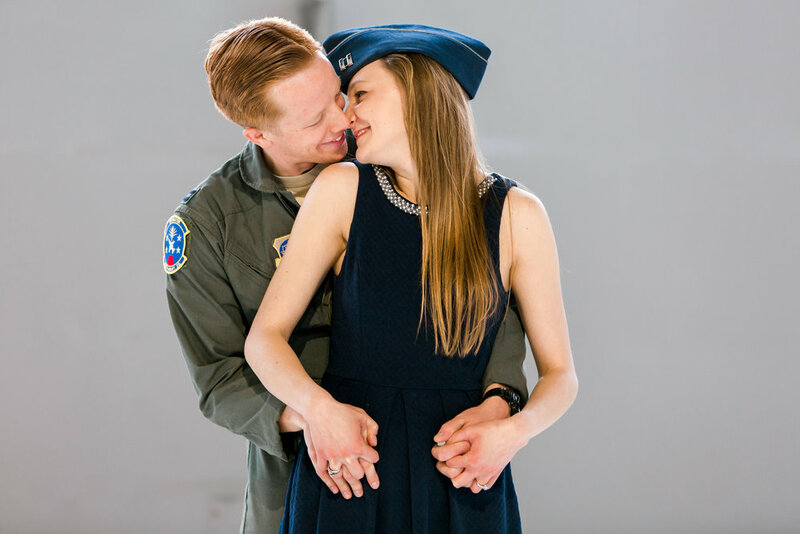 Alex wore his flight suit for half of the images while Elizabeth had a super cute navy blue dress. Alex and Elizabeth are not from Missouri they are both from Texas. This October the two will say " I do" in Dallas, Texas. Congrats to Alex & Elizabeth! 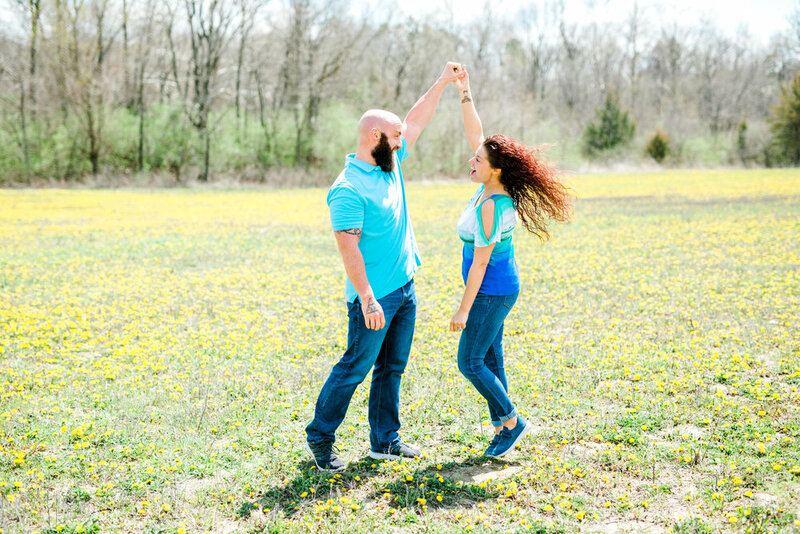 I captured Krista and Van for their engagement session at Creve Couer Lake. The weather was BEAUTIFUL. We captured a sunset session. What better day in April mid 80's and beautiful sun in APRIL!!! Krista and Van were seriously inseparable. I would get all excited for our next pose and they were already giggling and, laughing and kissing. Needless to say they could not keep there hands off each other, these two are perfect for each other. If you look at their facial expressions they are 100% themselves. 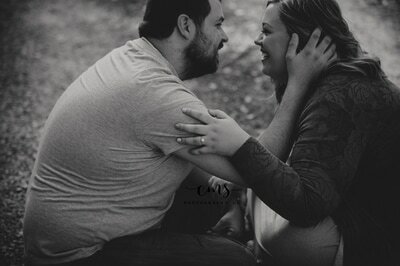 I had so much fun with these two I seriously can not wait to capture this September wedding! They met 5 years ago working together at Olive Garden. Van was not a fan of Krista at first due to her being shy, but Krista thought he was cute from the beginning and such a great guy! Later Van and Krista became friends and started hanging out. On a hot summer night they shared their first kiss and ever since that night they have been inseparable. What are your hobbies, what do you enjoy doing? Krista states they love to be at home. You can find them binging on Netflix and snacking out to their favorite junk foods. They enjoy hanging out with their little man Layton (their son), and their two pups. "Seriously we are an old married couple, always have been, always will be." As far as Krista says her and Van are already living their dreams, together as a family. They have found one another and have the most perfect little man. Van wants his little girl still. Van hopes to have a girl one day that he can spoil and of course be a daddy's girl. 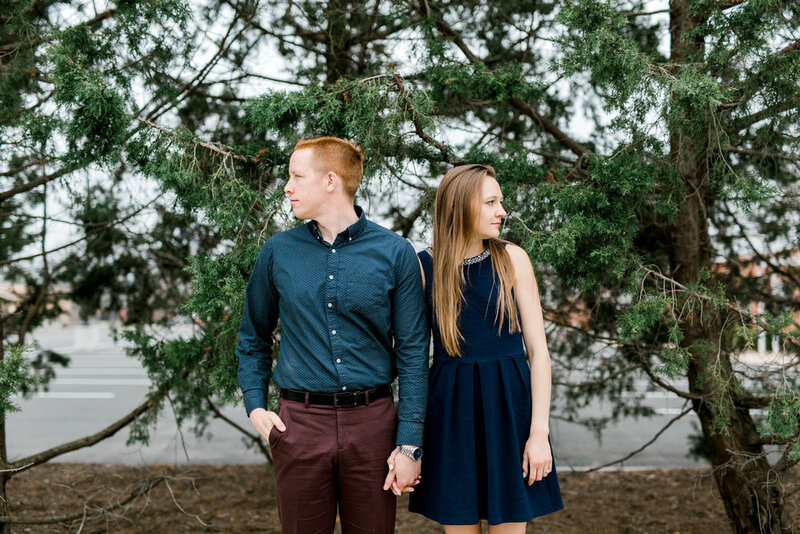 These two are a perfect match and can't wait to tie the knot in September! I captured these two love birds on 4-8-17 at a favorite location of mine! Katy absolutely adores the love she has for her fiancé Ryan. How did you meet Ryan? Easton is the light of their world, he is their little boy who will be 2 on the 21st of this month! As a couple they LOVE sports (baseball & hockey to be exact!) GO CARDS & BLUES! Goals and dreams are huge priorities for these two! In the future they dream to buy a house with acreage with a huge lake. With that dream house they could not imagine life without a few farm animals, they already have chickens! They want to raise a Family with this dream home and love life together.